GO collaborative (GOco) focuses on the connection of people and place, including temporary public art, creative placemaking, public art planning, and community engagement. Sarah Gamble is a practicing architect and educator at the University of Texas at Austin School of Architecture focused design projects within the public realm. Lynn Osgood is an urban planner and researcher whose work explores the intersection of public space, community engagement, and the arts. Legge Lewis Legge is an award-winning art and architecture studio founded in 2001 by architect Murray Legge FAIA and filmmaker Deborah E. Lewis, both in Austin, Texas, and artist / graphic designer Andrea Legge in New York City. LLL is a family business. Murray and Deborah are married, and Andrea and Murray are siblings and grew up in rural Ontario, Canada. Patricia Lortie In her childhood at the family’s cabin in Quebec, there was a magnificent maple tree that Patricia Lortie felt privileged to climb. During one of those climbs, she discovered that her tree was in fact two trees. They grew so close to each other that they became one: entangled. Today, entanglement is the focus of her work as a visual artist. In her public art practice, she fosters a sense of entanglement with nature through environmental stewardship. Jean Wallace is a nature specialist professor at the University of Calgary whose research focuses on wellness and work life balance. She pursues both by sharing her passion for the natural world with others in her nature walks, photography, and volunteer work at the Calgary Zoo. 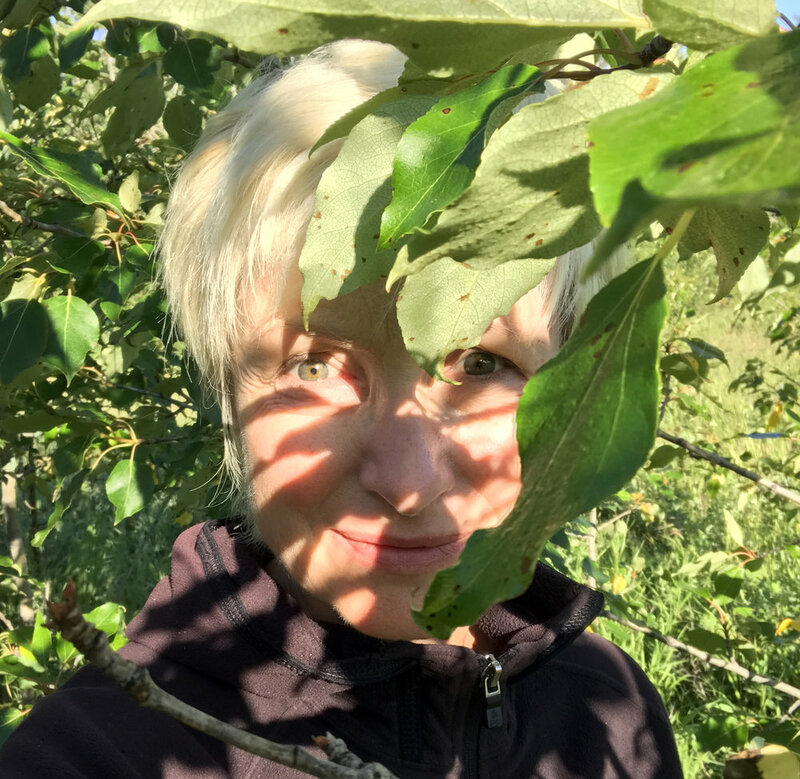 Claudia Weigelsberger is a local Calgary visual artist with a background in advertising and graphic design, whose practice includes site specific and conceptual work using various media. Inspiration comes from popular culture, industrial design, communication, and the natural world. Claudia is also an active community volunteer interested in cultural development, and a Tuscany "ex-pat.” See her work at thingmajig.ca follow her adventures on Instagram at 'ybwdogrun'. Isabel Porto is a new Canadian artist originally from Rio de Janeiro, Brazil. Her MFA thesis (U of C, 2014), Perceptual Drawing: A Perspective of Experience, gave Isabel the possibility to intensify her study of perceptions in relation to everyday environments. For ten years now, she has been developing art projects that involve site-specific locations. Her art projects have taken the form of drawing, photography, and participatory events that enable viewers and herself to take an active role in perceiving their surroundings in a new and more engaged way. Through these projects Isabel invites people to re-discover overlooked places, calling the attention to the need to be “present” and responsive to experiences in our everyday life. Her work has been exhibited in Calgary, Edmonton, and Brazil. See her work at isabelporto.com. 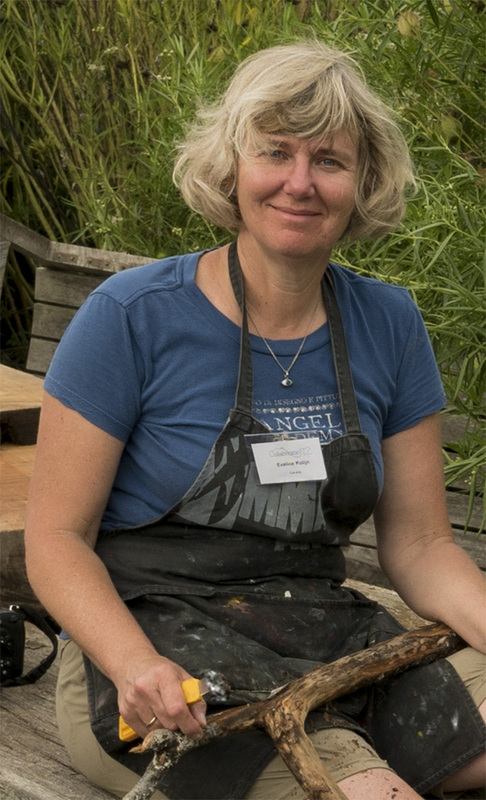 Eveline Kolijn is a Dutch-Canadian artist living in Calgary, whose interest in the biological sciences and concern for the environment is expressed through printmaking and sculptural installations from found materials. Natural history has always permeated her life. She grew up in the Caribbean, where she observed marine life while diving extensively. She studied images of visible and invisible life and connected them with the forms and patterns found on the beach and in the sea. Her art evolves from her fascination with patterns and processes found in nature. Eveline has exhibited and published on her art in national and international exhibitions and publications. She currently teaches printmaking at the School of Continuing Education at the Alberta College of Art + Design. See her work at evelinekolijn.com. Design Cause focuses on the creation of sharing stories through video and design. Brad Hays is a graphic designer and videographer exploring project collaboration and the artistic process. Ellis Bartkiewicz is a lifelong learner and is passionate about: photography, art, community, cultural diversity and the natural environment. Together, they motivate and influence each others creativity, skills and artistic style.